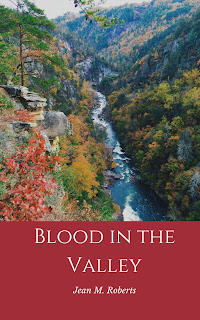 I'm proud to announce the publication of my new (second) novel: BLOOD IN THE VALLEY , available on amazon.com in both Kindle and paperback versions. (If you have Kindle Unlimited it's free!) This book brings together my three passions: history, genealogy and writing. Let me tell you a little bit about the book. BLOOD IN THE VALLEY is based on the life of my ancestor Catherine Wasson Clyde and her husband Samuel Clyde. Catherine's grandparents, James and Catherine Thornton, immigrated in 1718 from Northern Ireland. They were part of the Scots-Irish immigration. 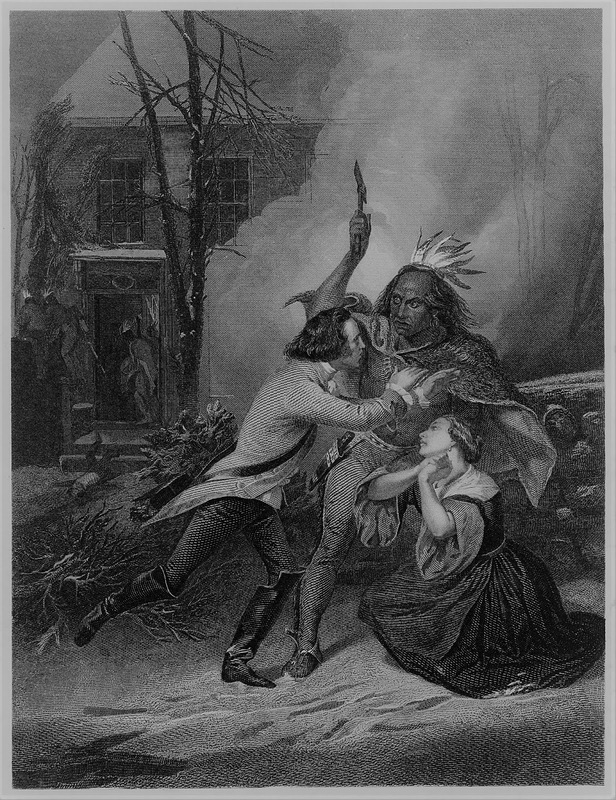 The family settled first in Brunswick, Maine but were burnt out by the Natives. They spent a few years in Marblehead before settling in Worcester. The Puritans of Worcester were not amenable to Presbyterian worship so James Thornton and several other men purchased land and founded their own settlement which was eventually named Pelham. James' son Matthew, born in Ireland, trained to become a doctor; he set up his practice in Londonderry, New Hampshire, home to a large Scots-Irish population. James eventually joined him in, living in Derry. Agnes Thornton Wasson and her husband John also migrated to New Hampshire; they settled in a town not far from Londonderry. In about 1754, Agnes and John, her brother William Thornton and his family, along with other Scots-Irish families left New Hampshire for the colony of New York. They arrived in Schenectady just as the last French and Indian war erupted. Following the war the family purchased land in Curries Bush, now Princetown. Catherine Wasson married Samuel Clyde and settled in idyllic Cherry Valley, on the edge of Indian territory. The book blends the history of the day with daily life in the 1700s. Few people realize that New York suffered the brunt of the battles during the American Revolution; more than one third of all major battles occurred in the Colony of New York, including some of the bloodiest. Catherine's husband, brothers, and her Thornton cousins fought in many of the major battles, including the Battle of Oriskany, a devastating fight that almost wiped out the fighting men of Tryon County. But this is not just the story of the men who fought, it's about their wives and children, and the plight they suffered through seven long years of war. The Cherry Valley Massacre marked a low point in the guerrilla warfare that was destroying the Mohawk Valley. Attacked repeatedly by Loyalist, Tories and their Indian allies, this area was savagely attacked year after year. The raiders employed a scorched-earth campaign that spared no one; not women, not children, nor the elderly. Farms were burnt to the ground, grain and livestock, stolen or destroyed. Thousands were either killed or taken as captives to Canada. Many were never seen or heard from again. This was the world of Catherine and Samuel Clyde and BLOOD IN THE VALLEY is there story. I hope you give it a read. Don't forget, if you have Kindle Unlimited, it's free, for now! I have also enrolled my first book: WEAVE A WEB OF WITCHCRAFT , about a couple accused of witchcraft in Springfield, Massachusetts in 1651, is also available for free on Kindle Unlimited.